Welcome to the first Aim Lock & Safe blog of 2018. The entire team here hopes you had a terrific New Year’s celebration and that the upcoming year turns out to be rewarding and enjoyable. This year, access control for businesses of all sizes is expected to become even more of a priority. According to a 2015 study by Fortune.com, retailers lost a combined $32 billion in shoplifting and worker theft in 2014. That counts for 70% of all inventory shrinkage (i.e. goods not sold). With the rising costs of things like equipment, products, shipping, and business insurance, protecting every dollar you invest for your commercial business is a must. Not only do these keyless access system options limit who goes where, they can also provide a record of when they were used, and by whom. For a very large business losing an item to theft – while unacceptable – may not have a profound impact on the bottom line. For a small business, though, any theft can negatively impact the overall profitability and financial health. 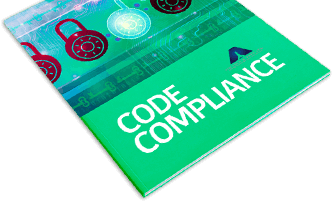 Did you know that one of the requirements of code compliance in Ontario is to protect sensitive employee and personal information. In 2015, there were 38.5 billion eCommerce transactions globally (Source: Statista). And for businesses working in sensitive industries (i.e. healthcare, law), there’s other personal information which must be protected. Things like salary information, performance reviews, and hiring notes all must be guarded. With the proper commercial access control options in place, you can prevent people from looking at computer monitors they shouldn’t be. You can also keep people out of important areas such as computer server rooms, I.T., accounting offices and more. Unless you have security cameras in place, it’s hard to keep track of who goes in and out using keys and locks. For customers, commercial access control prevents them from accessing restricted areas (as an example, take a look at how hospitals operate). The same principle applies for employees; you’ll give them access to places they’re permitted, and keep them out of places they’re not. Consider this: Have you ever come across an open door in your business location – which shouldn’t be open – and wondered how or who opened it? With commercial access control, you’ll always know the answer. Bluetooth locks for the home are also popular, as they allow homeowners to lock or unlock doors using their smartphone. (In some cases, the Bluetooth locking technology can be used anywhere in the world). Businesses looking to eliminate key cutting and duplication for new employees are looking towards Bluetooth commercial door locks. Another advantage of Bluetooth commercial locks is that business owners can be alerted whenever the lock is opened. That way – if unwanted access is taking place, they can instantly disable the lock and notify police and other third-parties. If you’re looking to boost business security for 2018, the team at Aim Lock & Safe can help. We can quickly and easily install new systems or networked systems (if you have multiple locations).